Millions of people like nothing more than the thrill and excitement of roller coasters and theme parks. 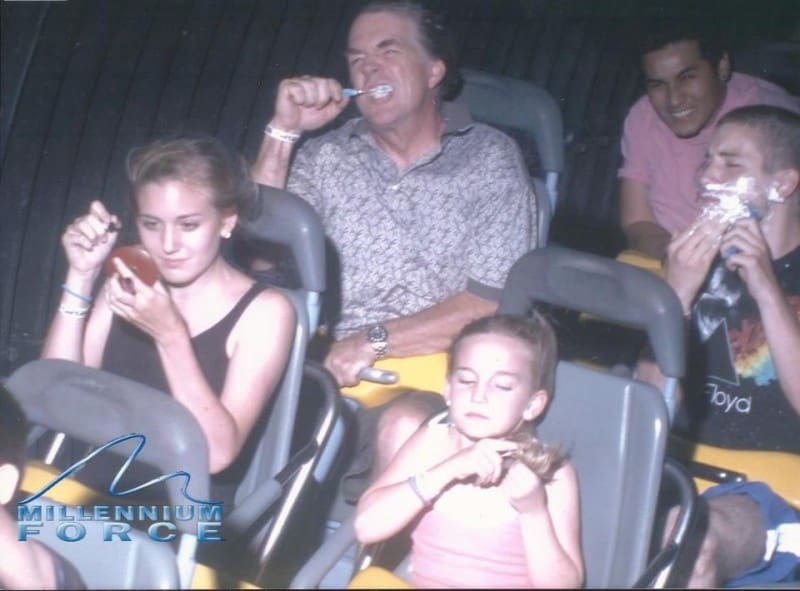 One of the greatest features to ever be attached to park rides is the automatic flash photography that captures the climatic moment. While it’s true that many of us don’t even know when the photo gets taken, there are some who come prepared to take full advantage of the situation. 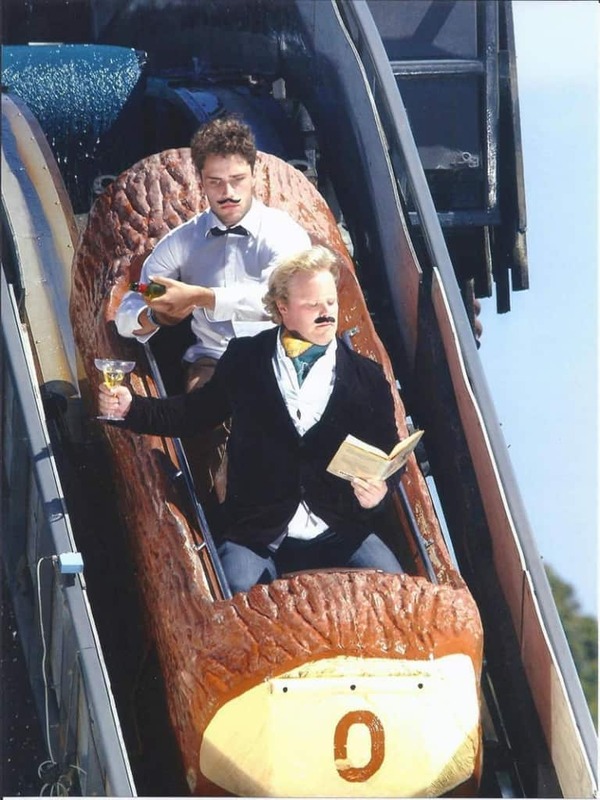 With that in mind, we present ten of the most amusing (and best of all, staged) roller coaster photos ever taken. 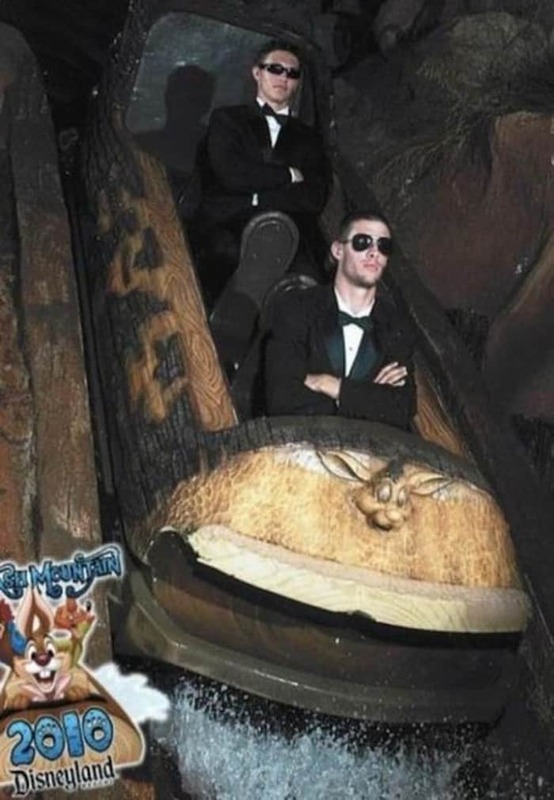 Sometimes you do have to wonder about how these people get away with a) not breaking character; or b) not dropping the items they take on the ride to pose with. Let’s forgive the fact that the cereal boxes are most likely empty. 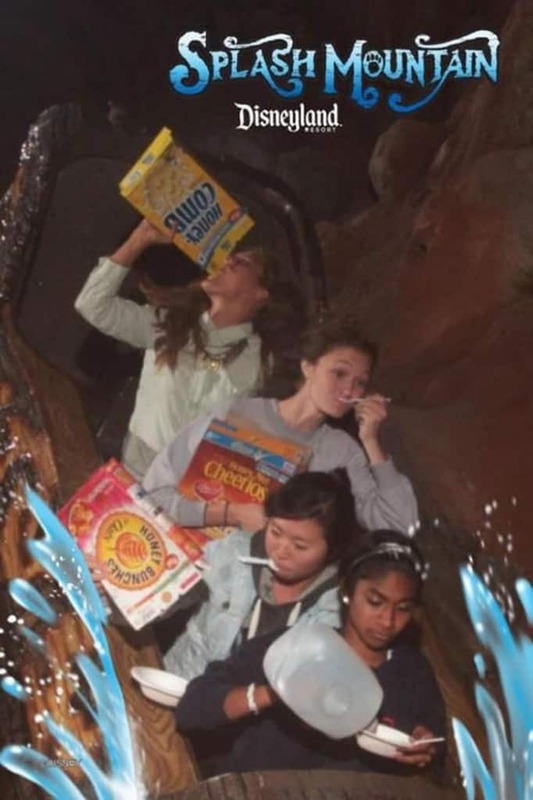 What amuses us is the fact that they had the forethought to bring their favorite brand of cereal onto a roller coaster ride. 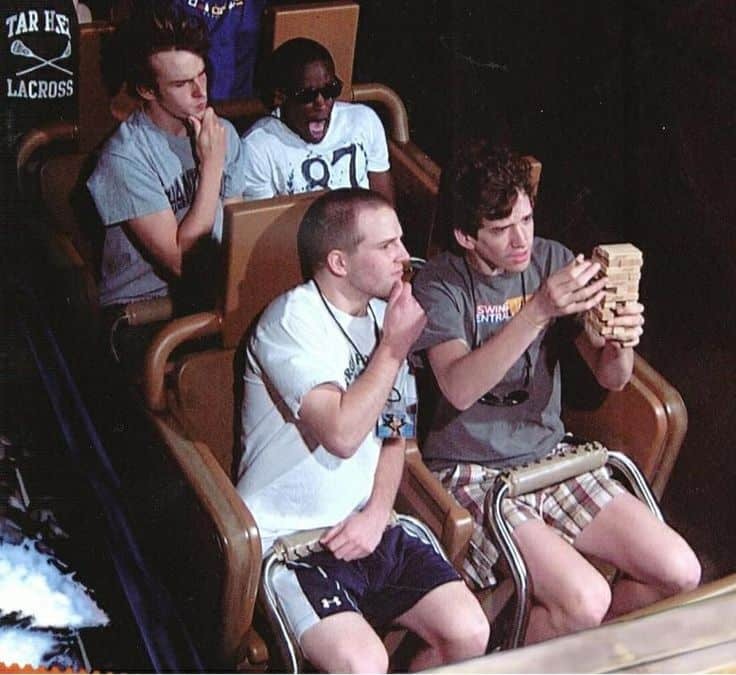 Keeping those items steady at this point of the ride must have been super tricky. Also, that mascara of hers is not going to look pretty at the end of it all. Fancy A Game Of Jenga? Sure, you can bring the world’s most wobbly board game to a theme park, but unless you’ve glued those pieces into position for the photo, you’ll be going home with much less Jenga bricks. Whatever you do…whatever happens…do not move a single muscle.” Not reacting on a roller coaster’s climax point takes some restraint. Come on guys, who reads printed media these days? 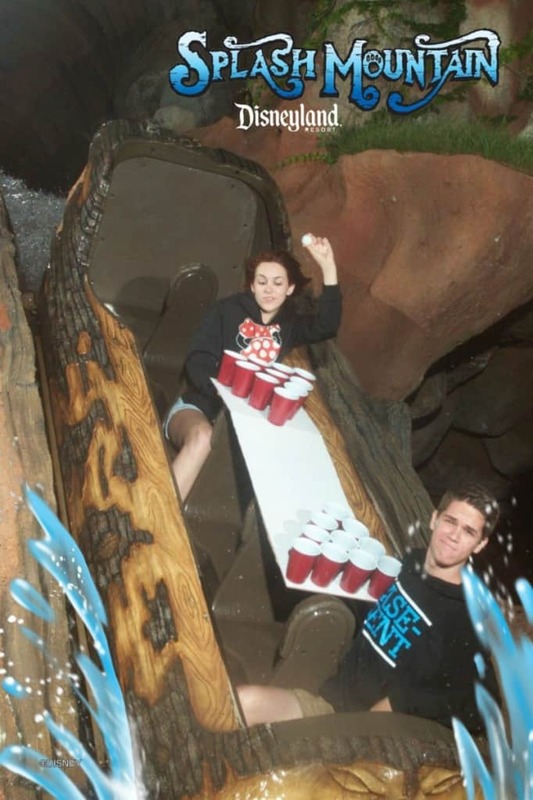 We can just picture the look on the theme park attendant’s face when they saw this couple carry their homemade beer pong table onto the log flume. 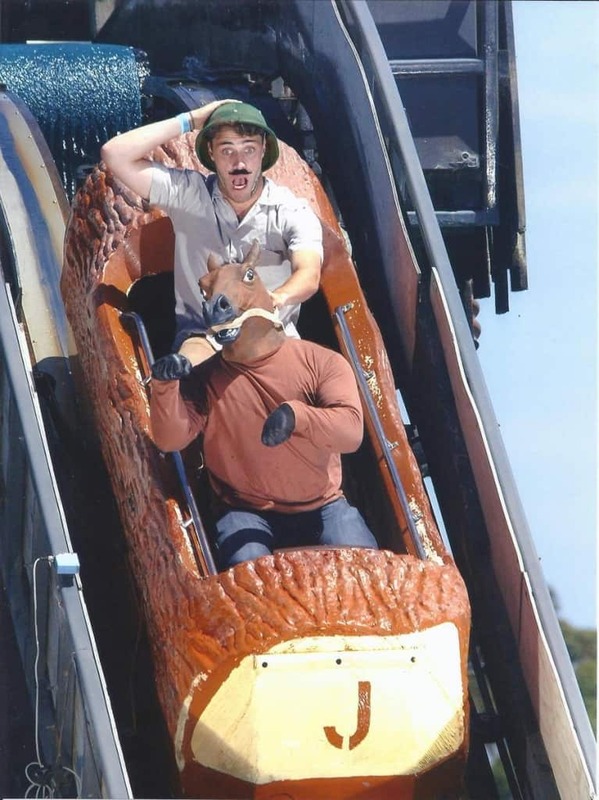 This is some Inception-esque meta photo as we see the guy in the back riding his man-horse while they’re both riding this ride. 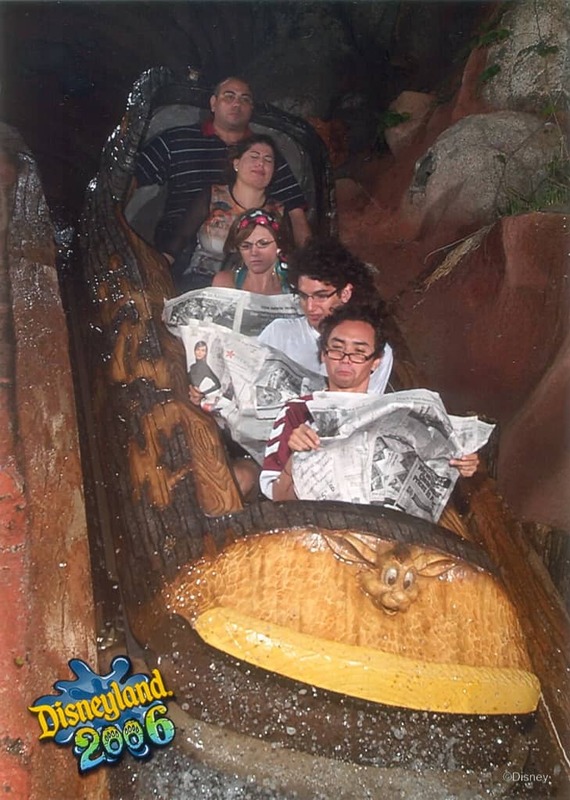 Even the wealthy elite like to unwind by having a day out at Splash Mountain. 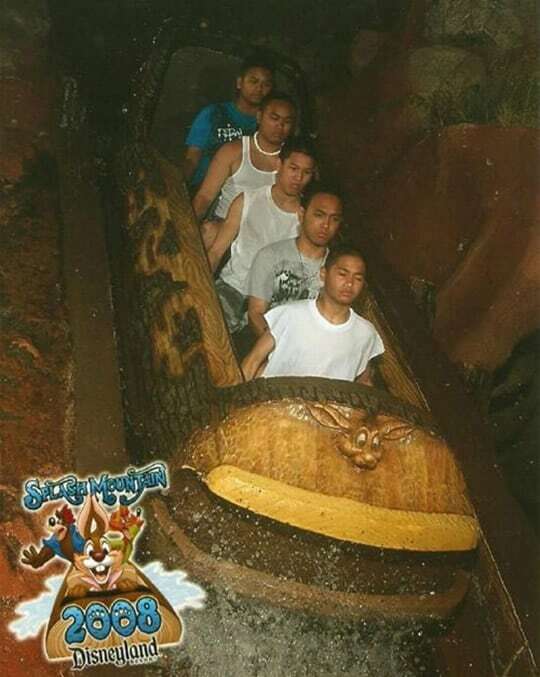 Theme parks aren’t just for us working class peons. Those stone-faced folk from a few images back have got nothing on these two suave dudes. Look how utterly cool and relaxed they are. HULK SMASH! HULK PURCHASE SOUVENIR PHOTO! 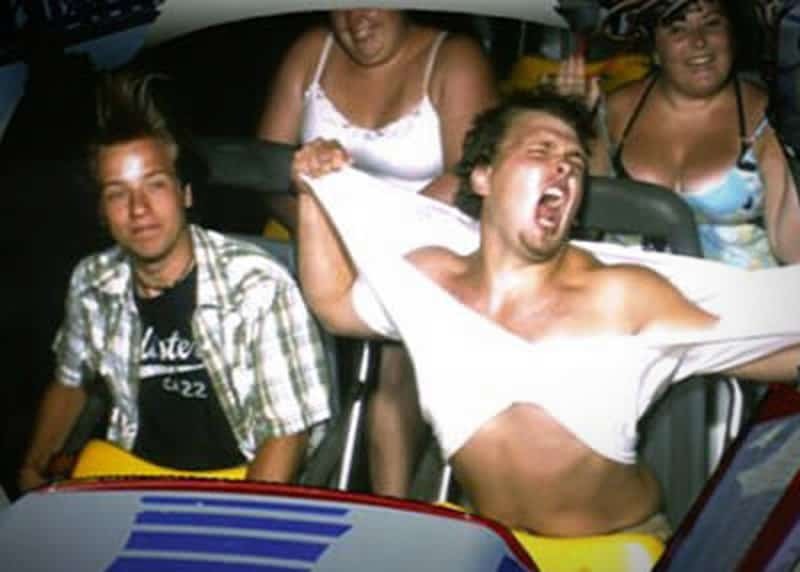 We know roller coaster rides can be exhilarating, but this guy is just getting entirely lost in his own excitable mind.